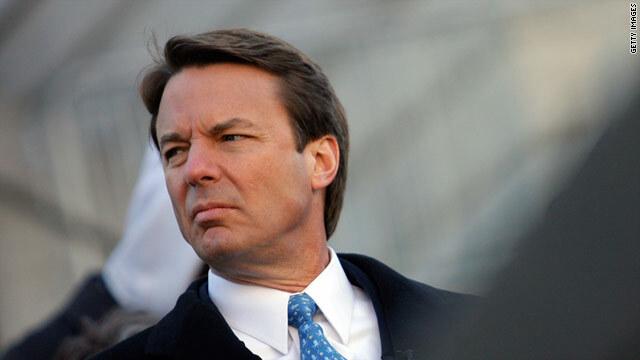 John Edwards is known for a few things. Initially, he ran for the position of Vice President as a member of the Democratic Party. He has also run for President of the United States of America as a Democrat. Soon, he might be known as a felon. Friday, Edwards was indicted on six charges. He is being accused of lying, conspiracy, and improperly using money acquired for his political campaigning via contributions. Edwards was quick to admit that he is not perfect and did make some mistakes. However, he was quick to claim that he did not break campaign laws, nor is he guilty of conspiracy. On all six counts being brought up against him, Edwards has entered a plea of not guilty. Whether or not he thought he was breaking the law, it is going to be up to the jury to decide if he is guilty or not. If he is found guilty, the former Presidential candidate might end up sitting inside of a prison cell for upwards of thirty years. He would also be charged with a fine that might be as much as one and a half million dollars. For the time being, Edwards is not allowed to travel outside of the continental United States. His passport has been surrendered and international travel, in addition to Hawaii and Alaska, is out of the question. The main accusation against Edwards suggests that money he provided to Rielle Hunter, the woman he was having an affair with, was officially speaking, from campaign donations. Edwards allegedly used more than $900,000 to help keep the affair secret. Prosecutors reportedly offered Edwards a plea deal, which he and his legal team did consider. However, in the end, Edwards decided to fight the charges because a guilty plea to a felony charge would result in him losing his license to practice law. The prosecution is adamant in not letting Edwards get by on the charges because of his high political status and public profile. Everyone knows that Edwards did wrong and had an affair, but it is up to the jury to decide if he wrongly used campaign funds as well.